Myanmar is a country in Southeast Asia where we Filipinos can visit visa - free for 14 days. Known for its raw beauty and culture untarnished yet from Western influence, Myanmar is a favorite backpacker destination. Pagodas and temples are everywhere that you'll get tired from counting. Most of all, this is a country where even the most budget - tight traveler can still enjoy essence of getting lost in a land full of warmth. This June, I am off to backpacking Southeast Asia covering Thailand, Vietnam and Cambodia. 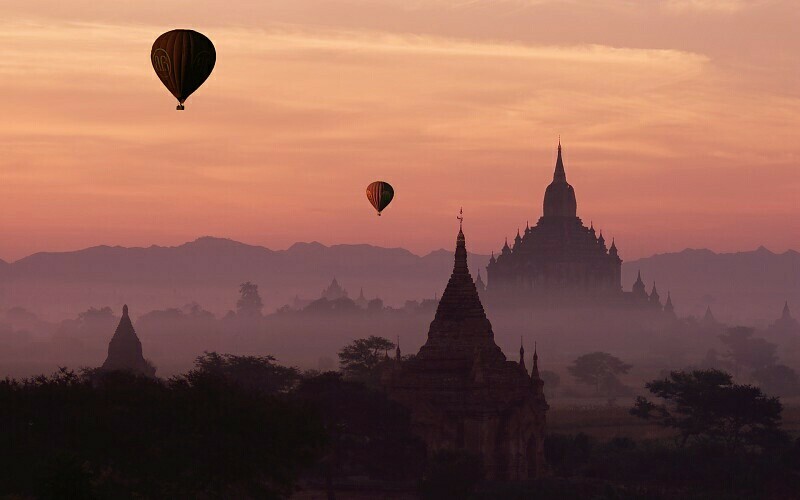 Unfortunately, Myanmar remains in my bucketlist waiting to come to being. That's why I am more than grateful for meeting JD Abad online, a fellow backpacker who just came from a 5 - day DIY trip to Myanmar. 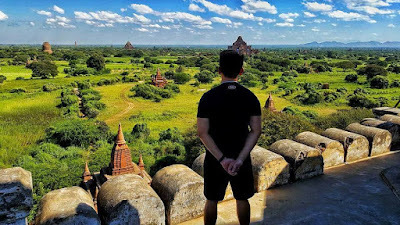 While this tip is designed for Filipinos like me and him, this can also serve a general travel guide to Myanmar for everyone. Below is his tips and itinerary to Myanmar that covers Mandalay, Bagan, Mount Popa and Yangon. Mandalay Grand Palace is the place where the last Burmese king lived. It's magnificent and historical to the locals before British colonizers destroyed it during World War II. It was constructed in the 18th century and rebuilt in 1990's with some modern materials. U-bien Bridge is believed to be the oldest and longest teakwood bridge in the world. Sprawled along Taungthaman lake, it is Myanmar's most photographed sites. The best time to see this bridge is just after sunrise when hundreds of villagers and monks commute back and forth across it. Kuthodaw Paya is a stupa where you'll find the world's oldest book. It is connected to the outside entry through a long corridor. Each of the shrines contain a marble slab where you can read Theravada Buddhism's sacred texts. Mahamuni Paya is a temple where thousands of colorfully - dressed monks adore the 13-feet tall Buddha image every day. Unlike other pagodas, that claim it has Buddha's hair, bone or fingernail, in Mahamuni, it is not. Literally it is translated as "sacred living image" which is thought to be already 2, 000 years old. 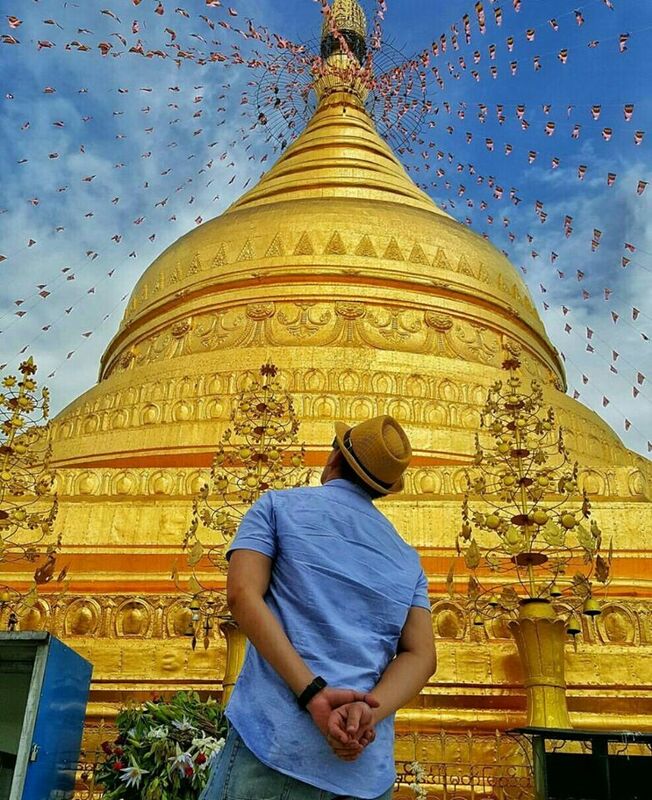 Shwezigone Temple is the most charming gold plated pagoda in Myanmar. 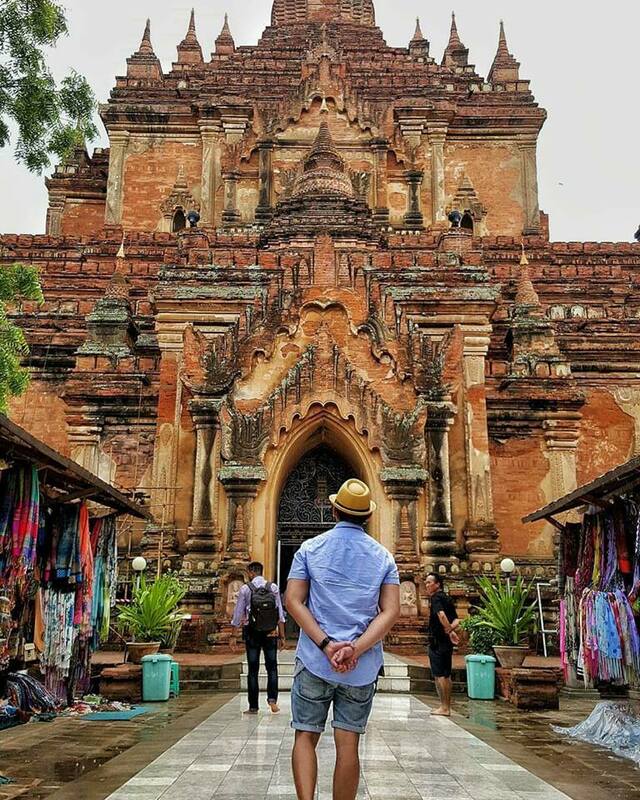 It is one of the oldest and most pressive monuments particularly in Bagan. Lastly, its design is the most copied across the country for so many times. Htilominlo temple is known as the last Myanmar style temple built in 12th century. It is 46 meters high and built using red bricks. There are 4 Buddha statues on the lower and upper floors each facing one side of the temple. Ananda Temple is considered as one of the most surviving masterpiece of the Mon architecture. 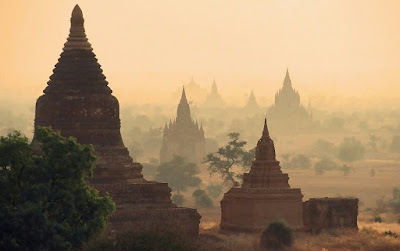 It is also known as the finest, best preserved, and most revered of all Bagan temples. 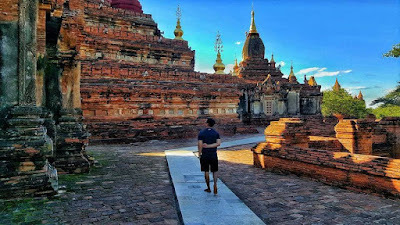 Continuation of Bagan Temple tour by bicycle. Thatbinyu Temple is the largest of its kind in Bagan. It nmeans Omniscience of the Buddha or from the word "omniscience" itself, it translates as "knowing thoroughly and seeing widely". Bu Paya, unlike the rest of its kind is gourd-shaped. he history behind it is quite contrasting while I did my research. It says it was built in honor of the 3rd king of Bagan who got rid of gourd-like climbing plant called "bu" because it infects the riverbanks. In commemoration of his good deed, this pagoda was built on the bank of Ayeyarwaddy river glorifying his accomplishments. Mount Popa's top is home to temples with gold stupas. The Popa Taungkalat shrine has 37 statues at its base that represents spirits that were once so vital to early kings when it comes to their commencement as head of this country. Popa means 'flower' in Sangkrit. There are plenty of flowers in a bottle for sale to be offered at the temples. Shwedagon Pagoda is the most sacred and impressive Buddhist site in Myanmar. Covered with hundreds of gold plates and stupa top with encrusted 4, 531 diamonds - Shwedagon Pagoda is said to be as one of the wonders of the religious world. It's a repository of the best in Myanmar's heritage when it comes to architecture, sculpture and arts. Yangon is the largest city in Myanmar. A DIY tour to Yangon can range from half-day to 3 days or more. Here are a few places you can visit: Shri Kali temple (a local market in downtown area), Sule Pagoda (a city navigational landmark), Bogyoke Aung San market (a British-designed market), Chinatown Yangon (one of the busiest and most action packed areas beeing with food vendors), Kandawgyi market (a nature park), Chaukhatatgyi Paya (reclining Buddha), National Museum of Myanmar, and Yangon Circular Railroad Ride. If the temple guard saw you with a DSLR they will charge you MMK 1,000. Camera phones and GoPro not a problem and won’t be charged. Wear decently when in temples which means no short shorts, sleeveless shirts, shoes, slippers, socks et cetera. 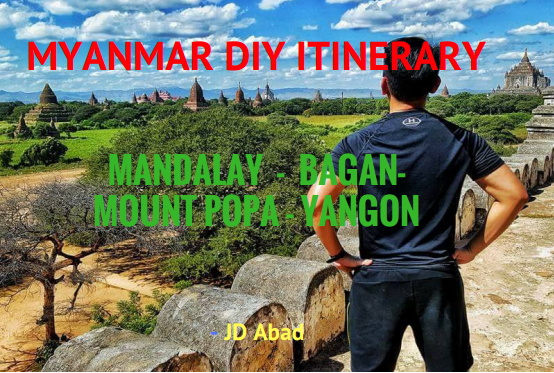 Never ending thanks and credits to JD Abad for sharing his DIY travel guide to Myanmar. You can reach him on Facebook here. Nice article, thanks. Quite a tough schedule - a lot of early (very early !) starts.